After the Fort Bend Star received a tip about the Republican candidate for Fort Bend County Precinct 1 Commissioner, the Star conducted an in-depth review of Bruce Fleming and his wife, Nancy Fleming’s voting record. Our research found that for several years Fleming voted both in Bucks County, Pa. and in Fort Bend County. Although Fleming claims to be a 20-year resident of Texas, he first registered to vote in Bucks County, Pa. in 1992 and still owns a home there. He is listed as an active voter Bucks County. Fleming first voted in Fort Bend County in the general election of 2006. He voted early in Fort Bend then voted absentee in Bucks County, Pa. in the same general election. In 2008 he voted absentee in the general election in Bucks, County, Pa but in Fort Bend County he voted in person in the Democratic Primary and again in the 4/8/2008 primary run off. He also voted early in the November general election in Fort Bend. In 2010 he voted absentee in the general election in Bucks County and in Fort Bend County he voted early in both the primary and the general election. 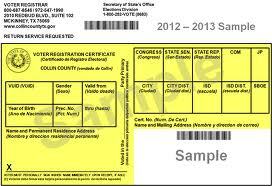 Fleming voted in person in the 2010 primary in Fort Bend County and voted early in the primary run off. The Star has been unable to get the primary voting records in Bucks County for 2012, but those records should be available next week. According to Fleming, his wife, Nancy, is seldom seen in Fort Bend as she stays in their home in Pennsylvania in order to keep her job there. She usually votes in every general election in Pennsylvania. 2010 records indicate she voted in the general election in both Bucks County (absentee) and the general election in Fort Bend (also absentee). However, in 2012 with her husband a candidate, she voted in Fort Bend in both the Republican primary (in person) and then absentee in the primary run off. She is classified as an active registered voter in both Pennsylvania and Fort Bend County, Texas. The Star contacted Bruce Fleming to ask him why he had voted in both states in the same elections for at least three different elections. According to Fleming he was diagnosed with pancreatic cancer in 2007 and he was back and forth between Houston and Bucks County for treatment. He seemed to indicate that was why he voted in both states. However, our research shows that Fleming started voting in both states in the 2006 general election and continued to vote in both states through 2010. Again, the 2012 primary records for Pennsylvania are not available yet. Fleming told the Star that he would have to talk to his wife and get back to us. He didn’t. Ouch. 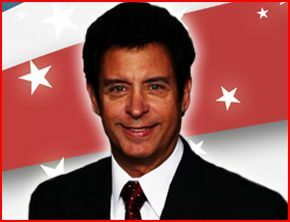 Fleming is the Republican candidate for Fort Bend County Commissioner Precinct 1, against Richard Morrison. Fleming’s vote in the 2008 Democratic primary was aberrant – as Juanita demonstrated, he’s a consistent Republican primary voter otherwise. One presumes he was among those who voted in the Dem primary that year at the exhortation of Rush Limbaugh, to mess with things. Anyway, the Chron story ties this back to a larger theme. Morrison and fellow Fort Bend Democrats took aim at Catherine Engelbrecht, founder and president of True the Vote, a Houston-based tea party group dedicated to combating voter fraud nationwide and pushing for voter photo identification. Engelbrecht lives in Fort Bend’s Precinct 1. The irony sure is thick, isn’t it? The story has a fairly limp response from some TTV person, because let’s face it, people like Fleming aren’t who they’re interested in. Additional coverage from the Fort Bend Star is here, a little gloating from Juanita is here, further commentary from FBCDP Chair Steve Brown about what protecting the integrity of the vote really means is here, and PDiddie has more. 1. I sure hope the Democrats got some kind of assurances about how Specter would vote going forward, because he needed them way more than they needed him. Given that he’s reiterated his opposition to the Employee Free Choice Act, the opening stanza isn’t too promising. 2. In many ways, this really doesn’t change much. Yes, assuming Sen. Al Franken gets seated sometime before he stands for re-election, this gives the Democrats the magic number of 60 members. The thing is, Senate Democrats have been a bigger obstacle to President Obama’s agenda than any other group. Conservative Dems such as Sen. Ben Nelson have the leverage to foil, water down, or otherwise pimp to their liking just about anything Obama wants to push. Specter’s switch doesn’t change this dynamic at all. Which of these fellas do you think will be ready to provide the necessary one vote from the minority to bring things to a vote in the committee on tough questions now? 5. Having said that, prepare to have your mind blown even further. I don’t see any way in which this happens, nor do I see rank and file Democrats being that thrilled at the prospect, for better or worse. But crazier things have happened, and there is an objective logic to it. 6. Dealing with party switchers in general causes headaches and almost always comes with a fair bit of bellyaching up front. Which is totally understandable, especially in the case of someone as obviously calculating and driven by self-interest as Specter is. I get where people like Atrios are coming from, I really do, and it’s completely possible that what we’ll get is a nominal Democrat who doesn’t really change his behavior in any meaningful way. Even worse, we may be sacrificing the chance to elect a better Democrat in 2010 and risk losing to a Republican who’s slightly less crazy than Pat Toomey (not a high bar to clear), since the case against Specter pretty much writes itself. He’s going to have to prove himself, and I hope Dems like Joe Sestak keep their powder dry until it’s clear that Specter is walking the walk. Here in Texas, we’ve had some very good results, as State Rep. Kirk England has been a fine member of the Democratic caucus, and State Sen. Wendy Davis (who had some Republican voting history but had never held office as a Republican) is a rising star having by my count an outstanding freshman session. Whether or not the past stays in the past depends entirely on what happens going forward. It’s totally up to Sen. Specter. 7. Finally, whatever else this is about, I love Specter’s rationale for switching. It’s an acknowledgment of reality, something which his now-former colleagues have less and less experience with these days. Once upon a time, party switchers helped the GOP grow bigger and stronger. Now it’s helping them grow smaller and weaker. I couldn’t be happier about that. Today there will be committee hearings on various gambling-related bills. I am reprinting here an email sent by Suzii Paynter of the Christian Life Coalition, which is one of the leading organizations that are fighting the expansion of gambling in Texas, as it has a pretty good summary of what has gone on so far. On Wednesday, April 8, the House Committee on Licensing and Administrative Procedures will hear all the major gambling bills filed in the House this session. There are 16 gambling related bills currently on the notice of hearing which can be found here. This hearing is sure to draw the most vocal gambling proponents from all segments of the casino industry. We think it is important that the committee hear the other side of the argument as well. The CLC will be at the hearing to offer testimony. This is an entirely new committee made up of members who may not know this issue. It is important that they know people out in the state care about the issue and are paying attention. If your representative sits on this committee it would be an excellent time to let them know you oppose the expansion of gambling in Texas. A list of the committee members and their contact information can be found here. The CLC recently completed a comprehensive newsletter outlining our most important arguments against the expansion of predatory gambling and in support of our current family-friendly economy. You can view the newsletter here (large PDF). On the same afternoon that the House Licensing and Administrative Procedures Committee announced the agenda for Wednesday’s hearing, they quietly passed out two gambling expansion bills. Both bills now sit in the Calendars committee and await a chance to be considered on the House floor. The first bill is HB 222, by Rep. Menendez (D-San Antonio). This bill would legalize poker to be played at electronic tables in certain bars, restaurants, horse and dog race tracks and on Indian reservations. The proponents claim that only simple majorities in both the House and Senate are needed to pass this bill. It is the opinion of the CLC, based on previous opinions offered by the Attorney General, that the element of chance inherent in this card game requires a constitutional amendment and the support of 2/3rds of the House and Senate. Additionally, the electronic facsimile of a game of chance makes this a Class III game as described under the Indian Gaming Regulatory Act (IGRA). As other states have experienced, and according to IGRA, the approval of a Class III game in Texas will lead to the expansion of Native American gambling in Texas above and beyond what is contemplated in this bill and in a way that weakens the state’s ability to control further casino expansion. The second bill is HB 1474 by Rep. Geren (R- Ft. Worth). This bill is meant to be a “clean up” bill to standardize and improve the regulation of Bingo in Texas. However, the bill also greatly increases the number and type of organizations that are eligible to receive a bingo license. The CLC is concerned that bingo in this state is moving far beyond the original public understanding of the game and that the charitable purpose is being watered down. Specifically, during the legislative interim period after last session, the lottery commission approved new bingo games which would allow versions of electronic pull tab bingo as well as a type of Keno. We are concerned that these new games could lead to a rapid expansion of electronic casino-style games. 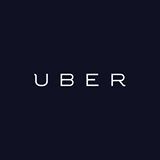 This threat is even more possible with the broadening of organizations eligible to apply for a license stated in HB 1474. The list of members on the Calendars Committee can be found here. If your representative is member of this committee, let them know that the best way to defeat these bills is to never allow a vote on the House floor. On Monday, March 30, two Native-American casino bills by Rep. Chavez (D-El Paso) were heard in committee. The first bill, HB 1308 was heard in the subcommittee on Criminal Procedure of the Criminal Jurisprudence Committee. The CLC testified in opposition to this bill. HB 1308 would give a defense to prosecution for Indian tribes that conduct otherwise illegal casino gambling operations. The bill is the exact same piece of legislation which failed to pass the House last session. According to Rep. Chavez and other supporters, the bill would simply allow two tribes, the Tigua of El Paso and the Alabama-Coushatta of Livingston to reopen illegal casinos that were shut down several years ago. While sympathetic to the desperate conditions on these two reservations, the Christian Life Commission opposes this piece of legislation because we believe that the consequences of passage may be far more expansive than what proponents are indicating. HB 1308 does not improve the legal standing of gambling by the Texas tribes bound by the Restoration Act. The state has never used criminal charges to shut down illegal Native-American casinos. The state has the right to sue the tribe in federal court and seek injunctive relief. This is how the casinos were closed in the past and the bill cannot prevent the state from closing any casino opened by the Tigua or Alabama-Coushatta. The gambling activity the tribes seek to conduct is not just an illegal violation of the penal code that this bill amends; it is UNCONSTITUTIONAL according to the Texas Constitution. A statute passed by a simple legislative majority cannot trump the state constitution. While it may preclude criminal penalties the state may still seek to have any operating casino shut down in federal civil court. The bill is an attempt to expand gambling by a simple majority vote in the legislature rather than the two-thirds majority needed for a constitutional amendment. The end result of this bill would likely be more costly litigation on the part of the state in federal court. Additionally, the vague language in the bill would actually open a legal loophole to Native-American tribes that are 1) named in the list of tribes referenced in the bill, 2) which have historic, recognized land ties to Texas and 3) are not bound by the Restoration Act. The list of tribes referenced in the bill includes over 300 tribes from across the country, several of whom have entered into agreements with state agencies acknowledging “historic property” in Texas. There are currently letters of intent to petition for recognition on file with the Bureau of Indian Affairs from 10 tribes seeking recognition in Texas. The members of the Criminal Jurisprudence Committee should hear from those opposed to this bill so that it is defeated in committee. A link to the committee and their contact info can be found here. That afternoon, the House Committee on Border and Intergovernmental Affairs heard testimony on HJR 108. This Joint Resolution proposes a constitutional amendment to allow the Tigua tribe of El Paso to operate a full blown, Las Vegas style casino. The CLC testified in opposition to this bill as well. Any constitutional amendment which would allow Class III gambling as defined under the Indian Gaming Regulatory Act (IGRA) would be a “trigger” for further Native-American casinos beyond what is authorized in this resolution. It is impossible to authorize gambling for only one tribe without affecting the rights of other tribes in this state. 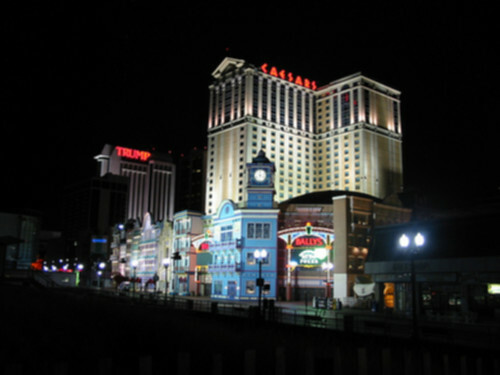 As has been the case in other states, once the Class III threshold is crossed, the state loses much of the ability to control casino expansion since many of the decisions will be made on the federal level. A link to the members of the Border and Intergovernmental Affairs Committee can be found here. A news report of these two hearings can be found here. To learn more about HB 1308 and the history of Native-American gambling in Texas see here (PDF). Couple things. First, as you know, I support HB222. Of all the various gambling expansion options I’ve seen, allowing for poker seems to me to be the most sensible and least potentially harmful. Plus, as a bridge player who has had the chance to play for money legally, I think poker is a legitimate game of skill and should be treated as such. In fact, poker players in Pennsylvania and South Carolina recently won court rulings that agreed poker is a game of skill. As such, it’s not clear to me that the AG’s opinion would agree with the CLC about the inherent level of chance here. Of course, I Am Not A Lawyer, and Lord only knows what Greg Abbott will do. The point is that recent legal history is on the poker players’ side. I welcome any feedback on that question, and on the other legal points raised, by anyone who has more expertise on the topic. Second, you can’t talk about the Tigua and Alabama-Coushatta tribes and the litigation over their past attempts to open casinos without noting that a lot of the opposition to them has come from out of state Indian tribes and casinos, who have an obvious interest in minimizing their competition, and that along the way some really sleazy double-dealing was done by former Christian Coalition honcho Ralph Reed and Tom DeLay’s felonious friend Jack Abramoff. Here’s some previous blogging on the subject, plus a couple of corrected links to Observer articles to give you the background. Finally, just to reiterate, outside of HB222, I am officially agnostic on the subject of expanded gambling in Texas. I have plenty of issues with it, and I may wind up voting against any future ballot propositions to allow for more gambling, but I am not comfortable being opposed to the idea. I thought this email was informative and worth highlighting, but please don’t take that as an endorsement, because it’s not intended as one.